I'm not particularly a big fan of fruit vapes. This one found a home mixed with Strawberries & Cream and Chocolate Milk. On its own is tastes chemically to me. Very good cherry taste, light pie crust. Don't know why, but find this addicting at 12%. It's light for cherry pie, but it is refreshing, after all the heavy custards and dense tasting juices. Easily an all day vape, but make lots, cause it takes a month to steep! I really like the Real Flavours Cherry Pie this has turned out to be one of my favourite all day vapes. 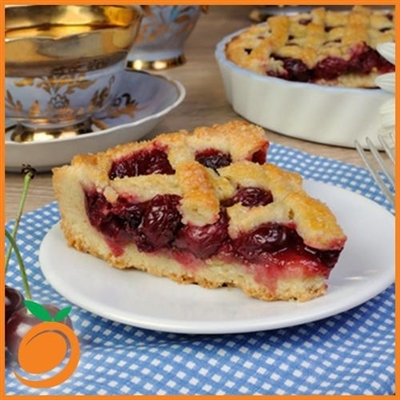 the cherry taste is on point with a light pie crust taste.